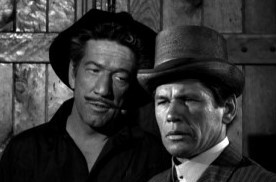 Before Richard Boone had found his most identifiable character, Paladin, on Have Gun Will Travel he had headlined an earlier television show called Medic from 1954 to 1956. Here he was cast as Dr. Konrad Styner. 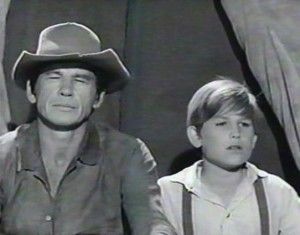 Prior to appearing with Boone on Have Gun, Charles Bronson had twice guested on this earlier show with Boone. 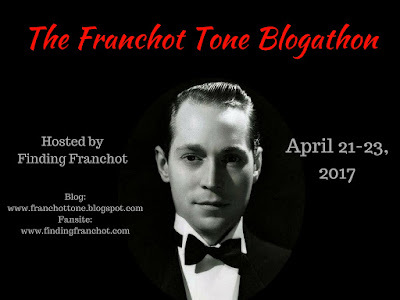 Bronson’s first appearance on the show was aired in October of ’54 following his name change from Buchinsky to Bronson. Of his five big screen appearances that year, only one title, Drum Beat, that pitted him against Alan Ladd had featured the name he would find fame with. The others being Riding Shotgun, Vera Cruz, Apache and Tennessee Champ where he was featured under his given name. For Bronson’s third appearance in Have Gun Will Travel, he was cast in the episode …. Proof of Love. Season 5 ep. 5. 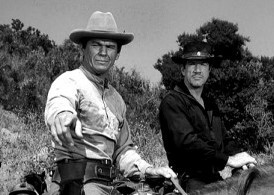 Airing in 1961 after missing two seasons, Bronson was back in another tale of love with Paladin coming to his aid. Bronson summons Boone to his farm in hopes of getting his money back for a mail order bride that has left him and taken up with nasty George Kennedy. This time out Bronson is no gunman and Magnificent Seven fans will take note of his introduction to the episode when Boone comes around the back of a ranch house and encounters Charlie chopping wood. At first Charlie wants a shooting lesson but Boone figures to confront Kennedy and ask for the $273 it cost to have Chana Eden sent out west to be the wife of Bronson. Kennedy is of course itching for a fight but the episode is still young. Give it time. Would you believe Charlie is playing younger here than he should be at forty and the show has cast 37 year old Shirley O’Hara as his domineering Mother? In the end it’s time for Charlie to man up and go get his woman back. He’d rather have her than the cash and is willing to accept her Greek heritage and all it comes with into his home. This will include the dancing and singing she refuses to give up despite his Mother’s anger which is what drove her away towards Kennedy in the first place. Haven’t seen Bronson in a bowler and spats before and dancing up a storm? 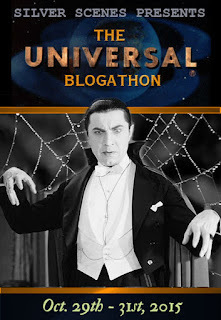 Then get your hands on this episode. 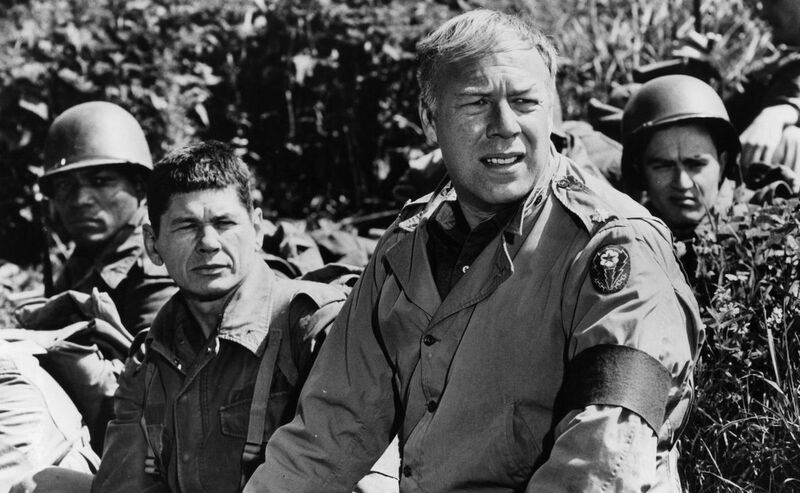 Finally, let’s not forget about big nasty George Kennedy. 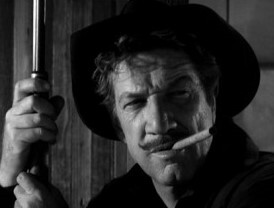 He’ll make his presence known at the fadeout but then so will Richard Boone. 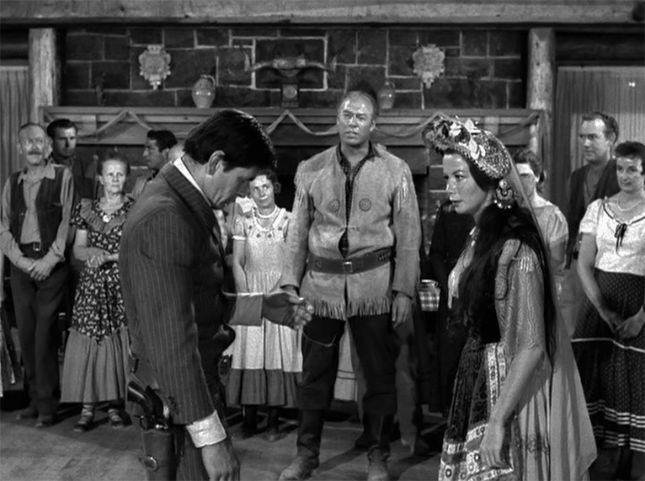 Of the five episodes Bronson appeared in, this was the only one to be directed by the show’s leading man Boone. He would direct a total of 28 of the 225 episodes. This half hour edition of Paladin’s adventures also represents the chance to see Bronson fence with Kennedy. The pair would go on to appear together briefly in the 60’s war classic, The Dirty Dozen during the amusing war games section of the film. It’s also notable for elevating Bronson’s billing to a single card of his own following Boone’s in the credits. Ben Jalisco. Season 5 episode 10. Just five short weeks after Bronson was looking for love, he returned to the show in a performance I’ve deemed as one of his finest. Though I haven’t seen all of his TV work, I have seen every film so hopefully my statement carries some weight. Directed once again by Andrew V. McLaglen, this tense episode was written by Harry Julian Fink who would go on to be a credited writer on both Dirty Harry and Boone’s all out battle against Duke in Big Jake. Both released in 1971. A nice double shot of success for Mr. Fink. It’s an amusing opening when Boone is seemingly out of luck at poker and love in the swank Hotel Carlton of San Francisco. Adding to his misfortune is the fact that Bronson as the episode’s title character has escaped from prison and is enroute to kill his wife who he blames for giving him up to Paladin years ago, condemning him to a life behind bars. Boone feels it necessary to hit the trail and protect her. 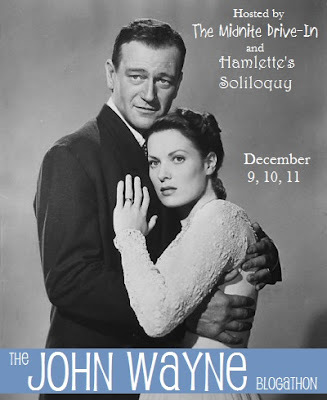 One time Noir leading lady Coleen Gray has been cast as Charlie’s wife who still loves him but is resigned to her fate. 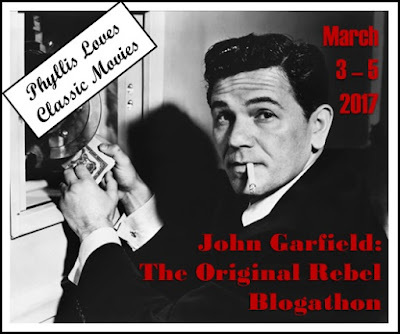 When Boone arrives at her small shack in the hills, Sheriff John Litel is on scene awaiting Bronson’s arrival and Boone joins in the stakeout. They won’t wait long as Charlie arrives with a double barrel shotgun killing Litel. He takes a bullet to the leg from Boone but crashes into the shack where he will face off against Boone holding a shotgun to Gray’s neck. It’s at this point that Bronson the actor will impress as he recalls his career, his love for Gray and the many men he’s killed as a bounty hunter in what he believes was the line of duty though his methods stand outside the laws of western society. The scene is about five minutes in length and probably offers him more dialogue than some entire movies he appeared in. Death Hunt and Chato’s Land come to mind. Still to come is using Gray as a hostage to get Boone to guide him ten miles south to the Mexican border to safety from the two men on his trail for killing their brother in the jail break. Again there should be no surprises at the fadeout other than surprising those who have accused Bronson of being a one note actor. 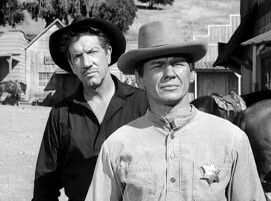 Bronson received a single card billing once again following Boone’s as he would in his farewell appearance in the series during the show’s sixth and final season. Brotherhood. Season 6, ep. 17. 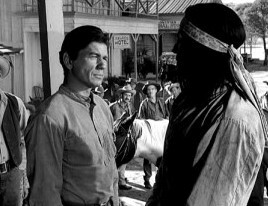 In his final go around again directed by series stalwart, McLaglen, Bronson found himself cast in familiar territory as a North American Indian. The major difference here versus his role in films like Run Of The Arrow is the fact that he’s living in the “white man’s world” at odds with his brother (Michael Keep) who still lives in the traditional way and is at odds with the progress squeezing him out. Boone travels west from San Francisco after seeing an amusing pair of bounties posted in a local newspaper. On one hand Bronson who is an unlikely town sheriff is offering a $200 bounty for the arrest of his brother while his brother is posting a $500 reward for bringing Bronson back to his people. Boone will catch a stage to meet up with Bronson and it’s here he’ll be exposed to the racial tensions between Bronson and the white businessmen who run the town believing Charlie is nothing more than a stooge. Boone is to learn that the brothers were sent to school as children and are highly educated. As they grew to manhood they went separate ways. Each wishing the other would be more like himself. Bronson believes his brother needs to embrace the future while Keep feels that Bronson hides his heritage in shame. 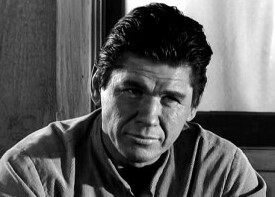 Boone is beginning to believe the same thing as he finds Charlie to be cold towards his brother and after bringing him in for the $200 bounty fears for the prisoner’s life when the local lynch mob shows up and Boone sees that Bronson intends to hand him over. Boone will of course step in and play it tough when necessary concerning the lynch mob. He’ll have to step it up to bring the two brothers back together in hopes that they’ll be able to mend their fences by the fadeout. Not a bad episode overall but I’ll admit to liking the two in particular that seen Bronson tackle Boone as an adversary. The Outlaw and Ben Jalisco. Still for those looking to see something a bit different from Bronson they’ll have to admit that Proof of Love and The Man Who Wouldn’t Talk offer just that. Bronson would appear in countless TV shows of the era like many of his fellow up and coming actors like James Coburn, Warren Oates and Lee Van Cleef who would all make good in the years ahead. 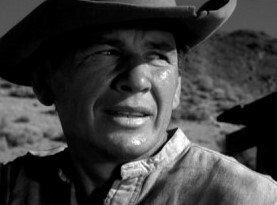 Bronson did have a brief run of his own in the 1958-1960 show Man With a Camera and a pair of western shows in the 60’s called Empire and The Travels of Jamie McPheeters. The latter of which starred a young Kurt Russell. 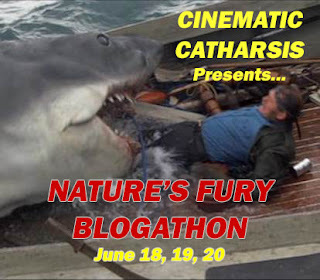 So outside of the usual list of titles like Death Wish, The Mechanic and his run of 60’s he-men adventures, The Magnificent Seven, The Great Escape and The Dirty Dozen, turn an eye towards not only Bronson’s television work but many of the other 70’s stars who cut their teeth supporting James Arness, Richard Boone, James Garner and other leading men who carried their own TV show during the western craze of yesteryear.